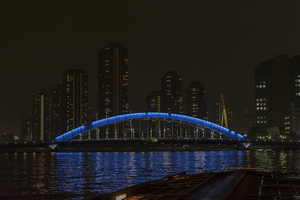 An observation deck with a panoramic view! 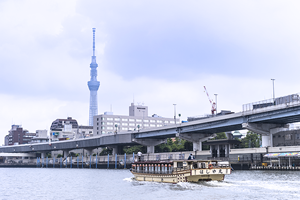 Our boat features an observation deck with an extraordinary 360-degree panoramic view of Tokyo Bay. 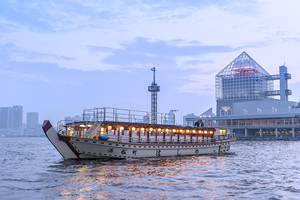 Experience the marvelous scenery from a vantage point only available from the water. 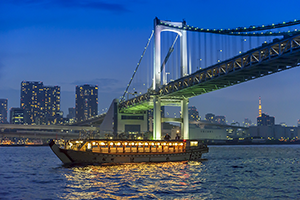 You can experience the panoramic view of Tokyo Bay while feeling the season in the ocean breeze. A sense of freedom during the “day” is exceptional. 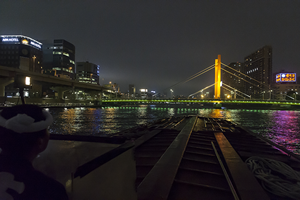 The “night” view is too beautiful for words. 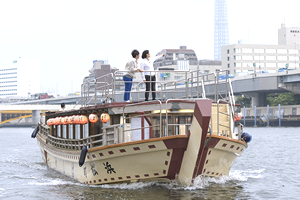 Please enjoy our Yakatabune boat with “all your five senses”.